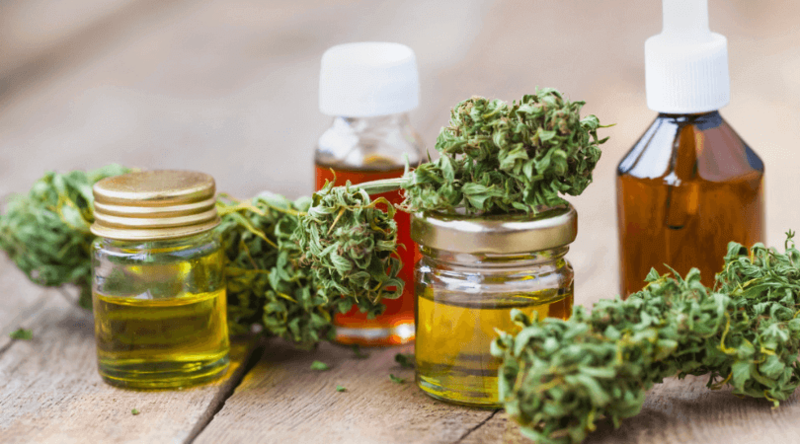 CBD Products take many different forms, and while all can work, the best one for you is down to your needs and preferences. Some users might prefer CBD Oil for the convenience, while others prefer the great taste and enjoyability factor of yummy CBD Edibles. CBD Topicals, Doobies, and Vape Cartridges are also great options. 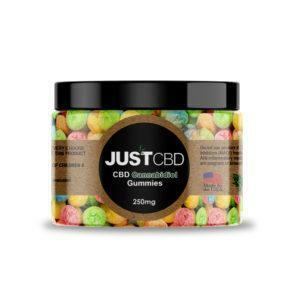 So what are the most popular CBD products? 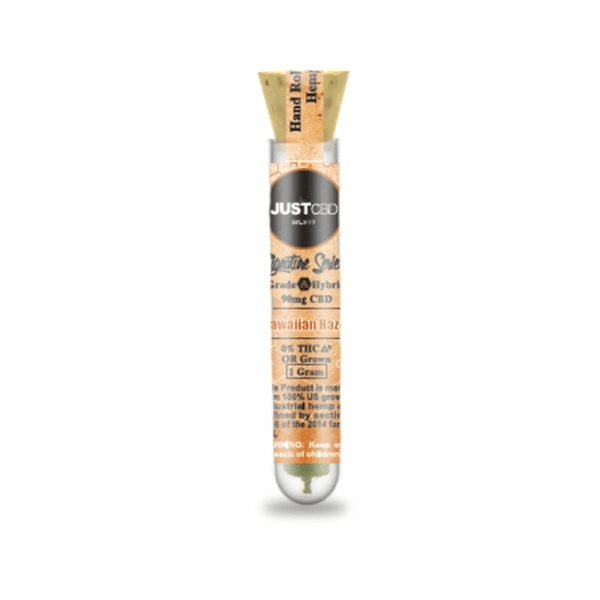 Here at Just CBD Store, we sell everything from CBD Tinctures to smokeable CBD roll-ups. Our online shop also lets you see our bestsellers based on what our customers love. All of these products are made with hemp and legal to buy across the US. 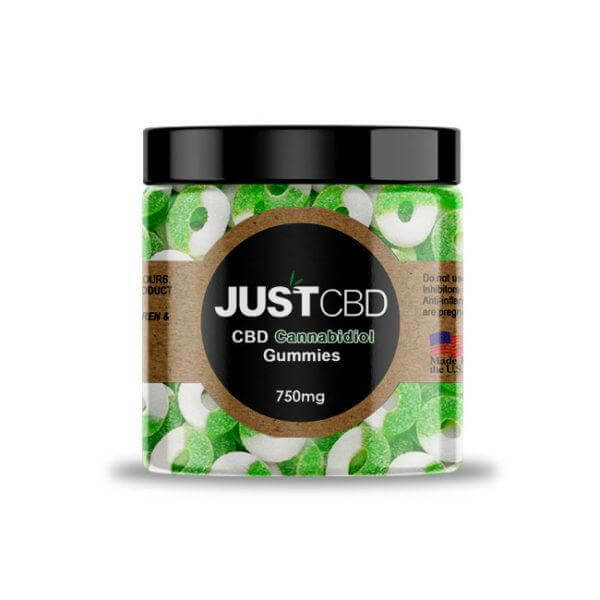 Here are the 8 most popular Just CBD Store products to check out. 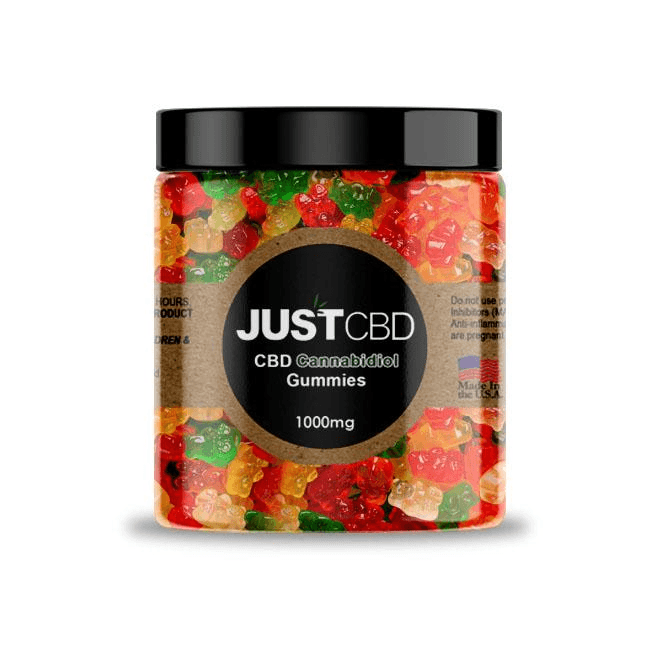 If you want to take CBD in a way that’s enjoyable, effective, and incredibly convenient, CBD Gummies are always a fantastic choice. Not only do these gummies mimic your favorite candies, but they also come chock full of high-quality CBD to give you a huge boost to your health. Our CBD Gummies come in many different types. 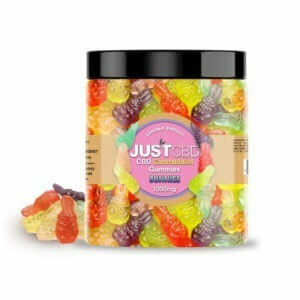 If you want something tangy and fruity, try our CBD Sour Bears. Alternatively, you could get them in Peach Ring form. Gummy Bears, Happy Faces, Sour Worms, Apple Rings, and many more are available so you have a lot to choose from. 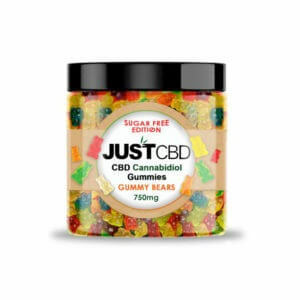 These CBD Gummies come in jars containing anywhere from 250mg to 3000mg of CBD. 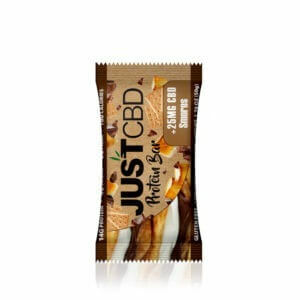 These are split into small servings of 10-25mg to make it extra easy to get your recommended CBD dosage. There are many different ways to consume CBD, and vaping may be one of the most enjoyable. 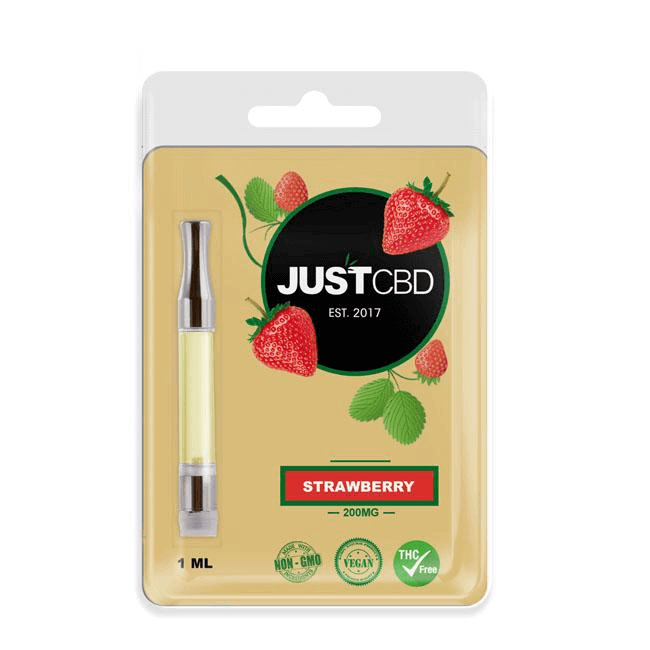 You can heat up specially designed CBD Oils with a vape pen or vaporizer and inhale to get the fast-acting effects of CBD along with a refreshing taste. We offer our very own flavored CBD vape cartridges. You can get Mango, Honey, Blueberry, or our most popular, Strawberry. Each of these cartridges come with 200mg of CBD to give you plenty of uses. Vaping is a smoke-free way to inhale oils and won’t do any damage to your lungs, making this a relaxing, enjoyable, and healthy way to ingest CBD. 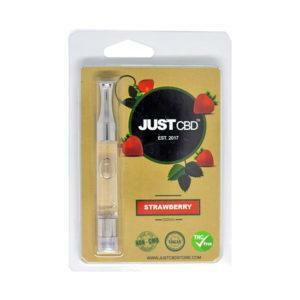 Buy Strawberry CBD Vape Oil Cartridge here. While it may be slightly harsher on your lungs than vaping, some users still enjoy the experience of smoking. But even high-CBD cannabis strains often come with psychoactive effects which don’t suit everyone, especially if you’re looking purely for medical effects. However, you can now smoke without getting high thanks to our CBD Doobies. 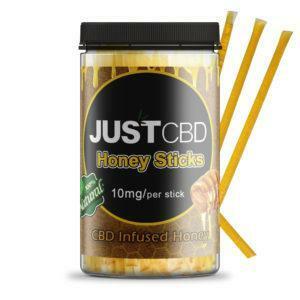 These use hemp to enable you to get the medical effects of CBD without any added THC effects. Each doobie comes pre-rolled with 100mg of CBD. You can smoke it all at once or make it last for multiple sessions. These doobies also mimic the flavor of popular strains. We offer Hawaiian Haze, BaOX, Master Kush, and OG Kush hemp doobies to name a few. CBD is most commonly used by humans, but it can also benefit your furry friends! Dogs and cats suffer from many of the same health issues. CBD can help treat problems such as arthritis, poor memory, anxiety, stress, and chronic pain in animals. But that doesn’t mean you should give your pets the same CBD products you use. We carry CBD products specifically designed for pets. 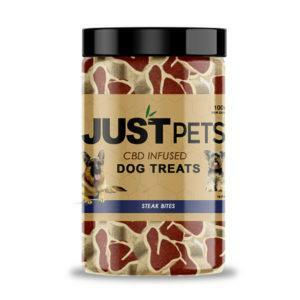 Our cat treats and dog treats contain 100mg of CBD per container. 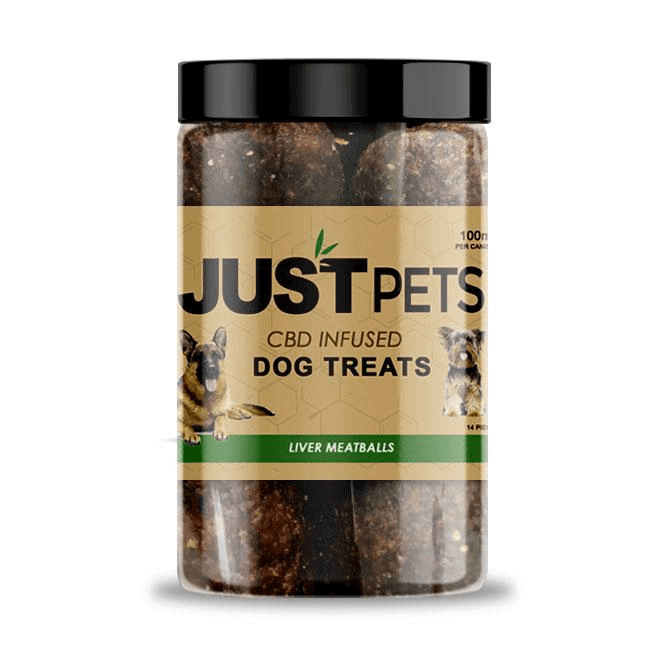 This gives you plenty of servings to give your pets the CBD treatment they need. Even if they aren’t suffering from health problems, CBD can help improve mood, improve sleep, and ward off the risk of numerous illnesses. Buy JustPets Dog Treats here. CBD Oils and Tinctures are some of the most popular CBD products all around. 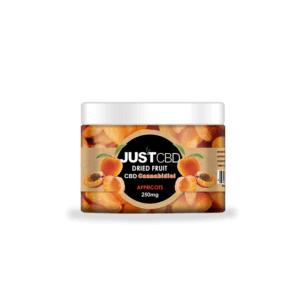 They allow users to get the effects of CBD quickly and conveniently. All you need to do is apply some of the liquid under your tongue for sublingual absorption into the body. That’s why our honey-flavored CBD Liquid Tincture is amongst our most popular products. You can get quantities ranging from 100mg to 1500mg. You can spread the tincture out however you want and it’s easy to control your dosage and make these bottles last for a long time. 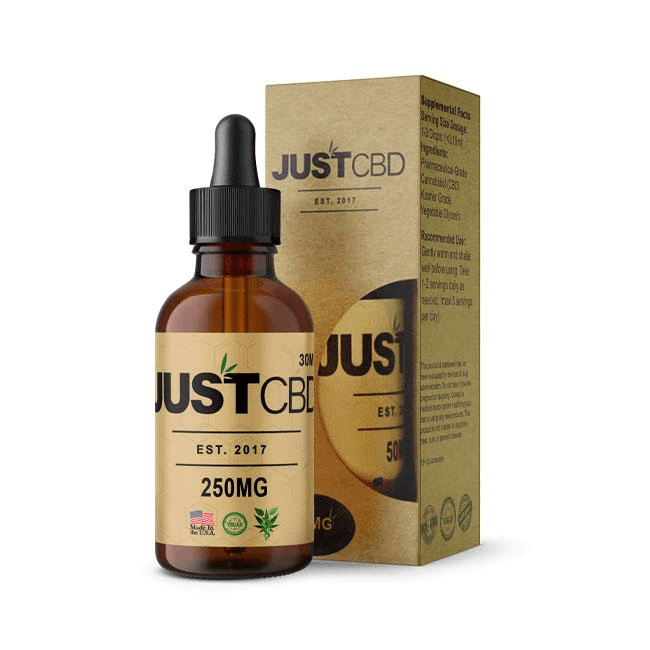 Buy CBD Liquid Tincture here. 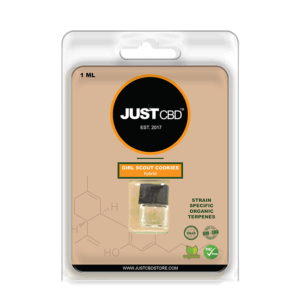 As an alternative to vape cartridges, we also sell bottles of CBD Vape Oils. 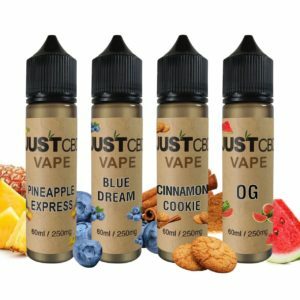 Also known as E-Juices, it’s easy to add the amount you need to your vape and start getting the great benefits of CBD in a safe and smoke-free way. Our CBD Vape Oils also come in various flavors. Whether you prefer Pineapple, Watermelon, Blueberry or Cinnamon Cookies, all of these will give you the fantastic medical effects of CBD. You can get every flavor in 100mg, 250mg, 500mg or 1000mg containers. 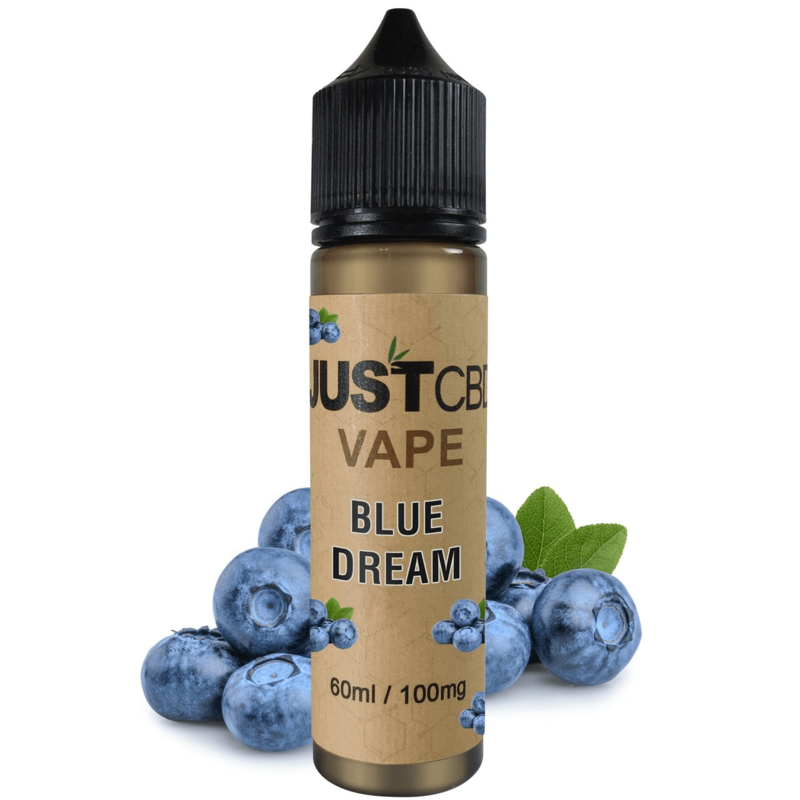 Buy Blue Dream CBD Vape Oil here. CBD Topicals offer a unique but effective way to get the benefits of cannabidiol. Instead of ingesting these, you apply them directly to the skin. They won’t reach your bloodstream or give you any mental benefits, but they can be especially fast and effective for treating pain and skin conditions. 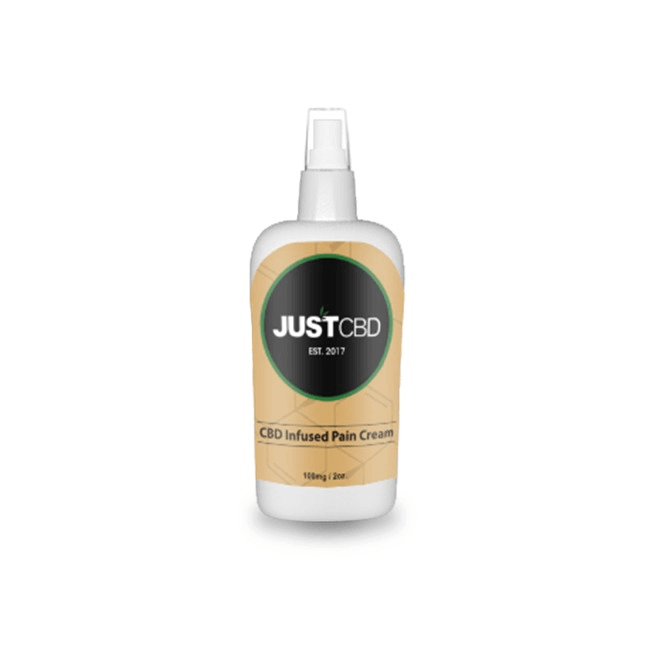 Our CBD Pain Cream is great for reducing pain and inflammation fast. 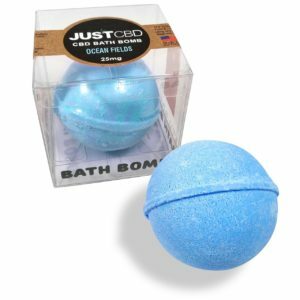 Just apply it to the affected area to enjoy the relieving effects. It has 100mg of CBD to a bottle to give you multiples uses. 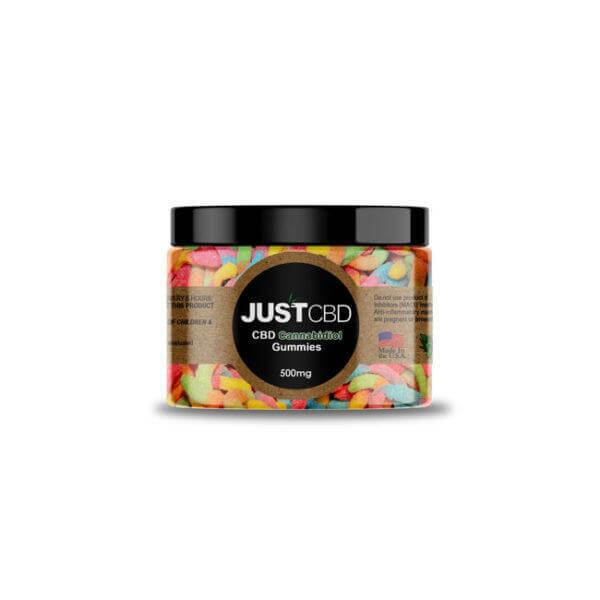 Buy CBD Pain Cream here. We offer plenty of ready-to-use CBD supplements. But if you want to experiment with CBD yourself, CBD Isolate Powder is a great alternative. 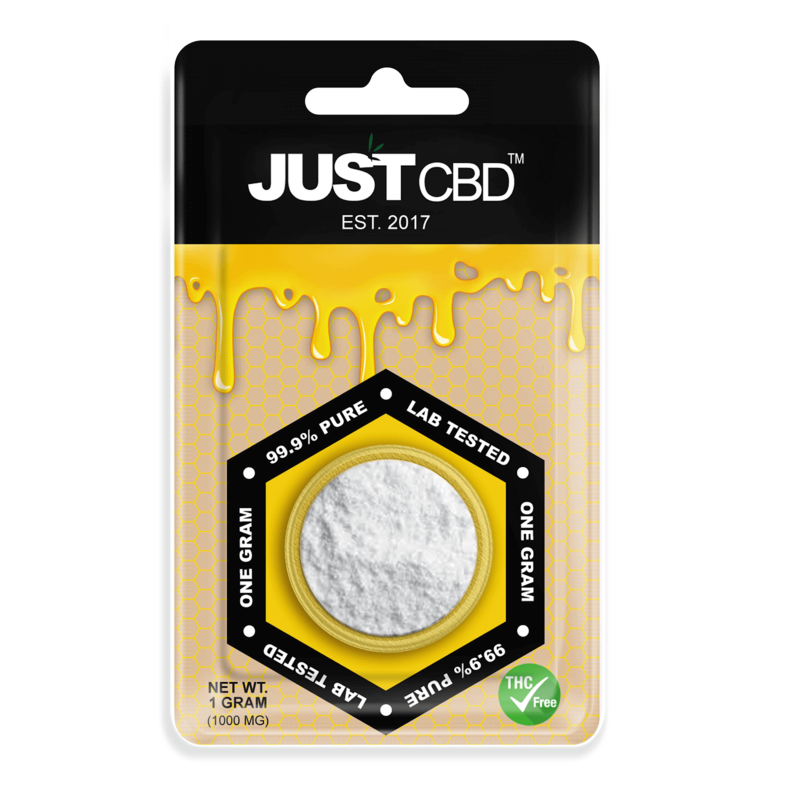 This isolate powder contains 99% pure CBD, making it extremely potent and effective. While you shouldn’t ingest these products, you can infuse CBD isolate into your own oils, tinctures, and other creations. You can even mix it into foods and beverages for extra enjoyment. Buy CBD Isolate Powder here. 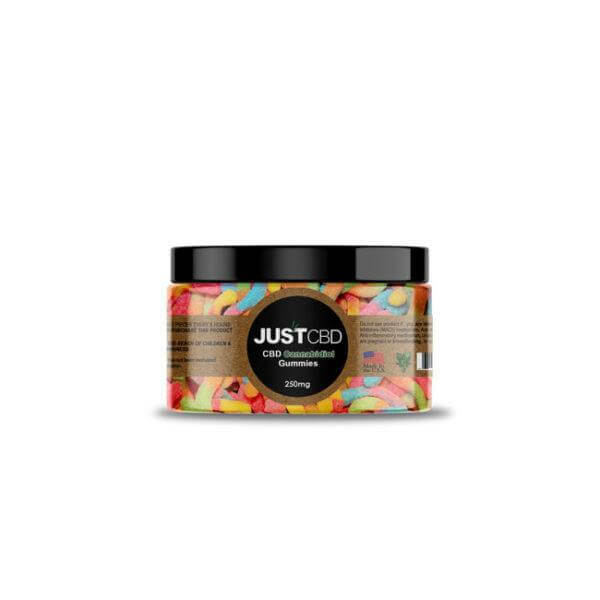 These are the most popular Just CBD Store products, but there are plenty of other options. If none of these suit you, you can always take a look at our online shop and find something that does. Many of our products come in different quantities and flavors, giving you even further options to explore. Everything is safe and legal to buy in all 50 states, so don’t hesitate to make a purchase. Previous post: CBD Dosage: How Much CBD Oil Should I Take?